Poe Baltimore | PAVERS FOR POE are here! Over one year ago, thanks to the generosity of La Cité, LLC, and the new Center/West development across from Poe House, Poe Baltimore launched our PAVERS FOR POE campaign. 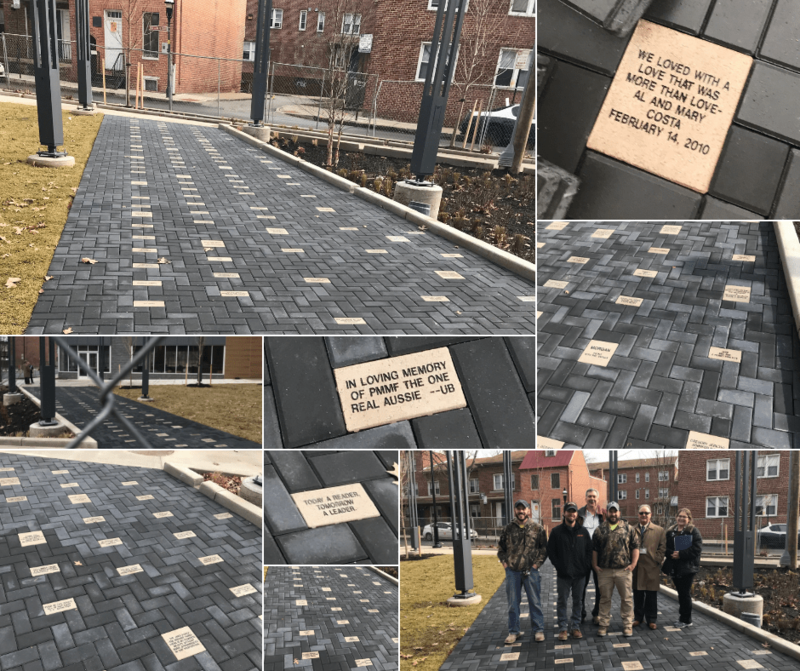 Edgar Allan Poe fans from around the world donated personalized, engraved pavers to be installed in the new “Poe Park” walkway, with proceeds to benefit operations and programs at The Edgar Allan Poe House & Museum. We are pleased to share that the pavers are here, just in time for Valentine’s Day! Each stone tells a unique and lovely story, and together are a beautiful tribute to Poe. The park is not yet open to pedestrians, but visitors to Poe House can see the new walkway from our front steps. We are working with park owners to schedule the dedication ceremony where everyone will have the opportunity to visit their pavers. Donors will be notified as soon as the date is set. For now, love evermore to La Cité, Center/West, and our generous PAVERS FOR POE donors. And don’t forget, paver donations have re-opened in the Poe House gift shop, so you too can become part of Poe’s legacy in Baltimore.